This is post #1,500 for I’m Just Sharing and it’s been quite an interesting ride. I started this blog in December 2007 with an idea that maybe I could make some money blogging. My other intention was to be able to write whatever I wanted to write, and to that end I was in immediate conflict. What is it with some people that they like to write down what they’re thinking and what’s going on? For me, I saw it as a sense of history, people I wanted to remember, events that were special or maybe not so special that I’d like to look back on one day and say “wow, I didn’t remember that”. That I chose to do it online was interesting because I was using a program back in the day called IBM Assistant on Windows 3.1, where I could save everything on my computer but only in small chunks; I’m betting some folks remember those days. When I got my first Windows 95 computer it was for work, so someone else paid for it. I learned at that time that all my old programs no longer worked, which is why I found My Dear Diary. Then at some point it was giving up the ghost, so I downloaded all those files and moved onto something called Writing Up, where I first met my buddy Mitchell Allen. But that crashed and I moved onto another site whose name I can’t remember, and met some folks I’m actually connected to on Facebook now. Then that crashed and we moved to something called Blogger Party. We were still anonymous, but those days were ending. It was at that point that I decided to get this blog. I had a business blog, but it had a specific purpose. This one would be different; and it was and is, but I had to resolve some things. For one, I realized at some point that I had to decide whether I was going to try to remain anonymous or try to make some money. Money won out; doesn’t it always? Lol That meant that I was going to have to figure out how to drive traffic to the blog, and figure out what to sell. I learned one but not the other. I learned how to drive traffic to the blog. I did two things back then. One, I wrote a post almost every day, sometimes two posts a day. For the first 3 years of this blog I averaged more than 300 posts a year; yes, the more you write, the more traffic you get. Two, I learned about commenting on other blogs. In a previous post I detailed ways that you can drive traffic to your blog and this is at the top of my list It differs from writing lots of posts in that when you visit other people’s blogs enough they feel compelled to come check you out eventually. However, when you write lots of posts, you get lots of people but not as many return visitors because they can’t keep up with all that’s being written. If this was a niche blog maybe, but it wasn’t, and still isn’t. What’s different now? Well, here’s what I’m going to do. Instead of what I usually do whenever I reach a milestone (like I did when I reached 1,400 just over a year ago), I’m going to talk about 15 lessons I’ve learned over the course of 1500 posts, some that I’ve taken and run with, some that have come to me that I haven’t done as often but need to. I’ve already given two lessons above but I’m not going to count those. I’m also giving you one more lesson, that being that list posts always do well, especially when people know they’re list posts because you put a number in the title. So, you’ve got 15 more coming; let’s see what I have to say. 2. Depending on what you’re writing, you often need time to market or advertise your posts in some way. When I was writing early on Twitter was a new thing, and I hadn’t thought about always posting links of all my blog posts, though I certainly could have. I don’t do that now all that often, but I certainly have enough so that I could get away with it. Still, I find that though I don’t get the type of traffic I used to get, I get more return visitors who write better comments; yay! 3. Spammers gonna spam. I know some folks who have shut down their blogs because of it; not me. What I did do was limit the amount of time folks get to comment on my blog posts. On this blog it’s 125 days, and I hate that spammers made me set that up. I’ve also learned that if you don’t set up your protections that spam is even worse than can be imagined. Two weeks ago I turned something off and went from 10 spam messages a day to 50 every hour; not again! 4. What I’ve also realized is that there’s some fairly evergreen content on this blog, and I think everyone probably has some evergreen content somewhere in their writings. Something I’m planning on doing is going back and looking at old posts in chunks, revisiting some of those topics and turning them into new articles. I’m going to do that because people can’t comment on old stuff and I know that if I can’t comment on something I’m less likely to consume it. I’ll also end up with lots of articles written ahead of time so that I can do some other things; neat! This is also a great idea for those of you who have at least 100 posts on your blog to think about doing. You can do a recap of your first 100 articles in one post, kind of like what I normally do, but you can also see what you’ve written previously that maybe you can find another way to write about. Not only is it new content but it helps solidify what your blog is about; SEO! 5. When you write articles way in advance, it doesn’t mean that if you want to write something current that you can’t do so. All you have to do is change the dates of some other articles and you can always be timely. I usually recommend that people try to write 2 or 3 articles at one time to help alleviate time crunches, but it also helps in occasions like this. 8. Length means nada to the majority of people. It’s like going to a movie that’s captivated you and being mad when it’s over because you want more. Some posts I read are way too short, while some are too long because they keep hammering on a point over and over. If I write as much or as little as needed to say what I have to say then that’s the perfect length of a post, and if it’s engaging enough people will read it; works for me. 9. You really can write on one topic in many different ways. Out of all the topics, or categories on this blog, the one I’ve written about more often than not is blogging. Almost 800 of the articles here are on blogging; how about that? And I’ve written some posts that I thought were interesting, connecting blogging with poker, airports, chess and a host of other things. If I can come up with so much to say on this topic, think about what you can do with yours. 10. At some point most of your audience is going to change for one reason or another. Think about your own forays online. Are there blogs you no longer visit that you used to stop by all the time? Life gets in the way, ideas change, tastes change… that’s just how it goes. Sometimes you as the writer has to change, while other times you just keep going your way and you find that there’s always someone who wants to consume your words, even if they just want to fuss at you for them. 11. Blogging takes courage and dedication. There are a lot of dead blogs out there. At the same time there are a lot of blogs where the writer refuses to take a side or offer an opinion because they’re afraid someone won’t agree with them. Like almost anything else, it takes a love of blogging to really do it justice. 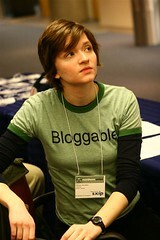 There are people who have blogged way longer than me, and even a few who have written more articles than me. Actually, that last sentence I’m going to slightly dispute. I’ve taken a look at some stats of mine and, well, I’m impressed if you’re not. Lol For one, based on the numbers I’ve averaged 20 blog posts a month on this blog, and that includes the last couple of years where I’ve tried putting out 2 a week. Even though this is #1500 here, I write 5 blogs in all, and in actuality this is blog post #3,491 across the board. That’s only for my blogs. I presently write articles for 2 other blogs that I don’t get paid for and with those I can add another 150 posts or so. Then there are articles I’ve written for my other websites, for other people’s websites and blogs, for places like EzineArticles and Demand Studios and other sources… it’s closer to 4,800 articles overall. There’s a wedding blog and a real estate blog out there that has around 500-600 articles among them, and lots of other topics that I’d care not to remember at the moment. Man, that’s a lot of writing isn’t it? At least for some of those I did get paid. Courage and dedication; remember those two words, live those two words, blogging and outside of blogging. No one ever becomes rich and famous by sitting on the sidelines waiting for someone else to give them anything. 12. Blogs don’t only have to be words. I remember a blog years ago called I’m Just Joe where every post was actually a video. These days that’s a more common thing and it’s smart because you can have a blog on YouTube and on a blog and have totally different audiences. There are also blogs that only have podcasts and blogs that mainly have pictures. All of them are compelling to someone, and if you can mix some of these things up you make your blog more compelling. 13. Blogging can be fun if you want it to be. I’ve covered a lot of interesting topics over the years; at least I found them interesting. Some of those that I enjoyed greatly took me the most time to put together. These were posts that, if anyone cared, people could learn a lot of things about me, my tastes, my background, etc. I’m kind of a history person. One of my majors in college was American History with a concentration in African-American Studies. I love reading biographies because you not only learn how people overcame some very interesting backgrounds, but you also learn what to do and not do as it pertains to your life. History does always repeat itself, and if we pay attention hopefully we’ll learn lessons so we have a better chance to get things right. 14. There’s always the debate amongst bloggers as to who you should be writing for. I tend to believe you write for yourself first and then others because if you don’t like what you’re writing why should anyone else. The other side believes that everything you do should be for the readers and that if you write with them in mind you’ll be able to reach them better and they’ll be more open to allowing you to communicate with them. No matter who’s correct on this particular debate, one thing is clear. Either you write or you don’t; plain and simple. Actually, if I get to use my inner Dumbledore I’d like to rephrase this to say that either you produce content or you don’t, since there are many people who are using guest posts to move things along, and there’s always a place for that. One way of looking at blogging, if you call it that in this case, is that the most successful blogs over time use multiple writers to produce content for them. Huffington Post, Copyblogger, Basic Blog Tips, Problogger… There’s a question as to whether the first two are really blogs but most people call them blogs so I’m not going to argue the point. There’s really the proof that the more content one can produce, the more traffic they’ll get and the more opportunities to make money. For most of us that’s hard to do on a consistent basis over time. That’s why I’m kind of proud of my 1,500 posts on this blog and my overall total. I can’t touch the really big blogs but I’ll put my output online against anyone else’s. And along the way I hope I’ve helped, entertained, informed, stuck to my principles, and offered in some way hope that blogging can be a “thing”, no matter how it manifests itself with you. 15. Thanking people is never bad to do. This is the final list point and I’m going to take the time to thank some people who have been here with me for years and people who’ve been with this blog a lot who are still here now. If I miss anyone I’m sorry, but I’m setting my criteria such that if the person hasn’t commented on the blog at all in the last year I’m not including them. That may or may not seem right but I know there have been a lot of people over the years who commented a lot and then disappeared. I will mention two guys in particular. Dennis Edell commented a lot over the first 3 years or so but passed away at some point. John Dilbeck not only commented often but wrote very long, detailed comments that I just loved, and he was one of the nicest and most positive guys I’ve ever known. I’m not a religious man so I’ll just say that I miss both of you guys and hope you’re in another dimension kicking down doors and having a lot of fun. One of the biggest fears I have is that one day I’ll just disappear and my wife won’t mention it anywhere because she doesn’t know anything about blogging and no one else will either. Stupid to worry about I suppose but I know this; the people I thank now won’t be forgotten because, well, if you read #10 from this post last week you’ll understand. Sire (Peter Pellica); Kelvin Ringold; Ajith Edassery; Beverly Mahone; Mitchell Allen; Adrienne Smith; Arlee Bird; Carl (Kaloyan Banev); Holly Jahangiri; Charles Gulotta; Ileane Smith; Brian Hawkins; Marelisa Fabrega; Scott Thomas; and John Garrett. Mitch, what an absolute delight this post brings to the web! I am actually going to add this to Evernote. I want to visit those links, reread those insights and, really, just have a reminder of what a wonderful friend you are. Here’s to the next 1,500! Thanks Mitch; I appreciate your words, and of course you were a part of pre-IJS days. 🙂 And I know, I’ll be moving soon. WOOT! I made the list! Mitch, you are one of the most prolific bloggers I know -and it’s all thoughtful stuff, too, so I’m jealous of how you can keep doing it. 1500 posts…whew! There’s always something interesting and timely to read here, and if I knew how to monetize it, I’d certainly tell you, but you know I have have trouble doing that myself lol. Congrats on such a huge milestone, I’m looking forward to the next 1500…let’s do it! Thanks John; I appreciate how long you’ve stuck around and you can always blame Mitch for that. lol I’ll be starting #1501 in a few days; after one this long I need to give some folks time to get through it all. Oh Mitch, this was a great read and boy was I nodding my head as I was going through your list. I also learned a few more things about you. I didn’t know you studied American history in college but I knew you were a history buff. 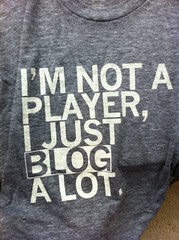 You know that’s what I love about bloggers. We all have our views on things and what I say goes someone else might say the opposite. I think certain things work for certain people where they may not for others. I think I’m going to have to save this post too so I can go back and read some of these you mentioned too. 1,500 posts, man that’s a lot. Bravo to you my friend and hope we can all make it to that number. I don’t write as much as you and I’m almost up to 550 but I did delete 42 posts a little over a year ago but I still have a darn long way to catch up with you. It just won’t happen. I oftentimes wonder about if something happened to me too. My brother and sister are on Facebook but rarely. Neither one of them are into social media nor are they online so unless some of my friends call and leave a message worried about me, they might not know what happened. I hope I’m not even online when my time comes so it won’t be an issue. Thank you for the mention Mitch, it’s been a pleasure getting to know you these last few years. I admire you, I love your blog and I consider you a good friend. Rock on Mitch and here’s to another 1,500 posts. Thanks Adrienne. I’ve learned tons of stuff from you so I wouldn’t doubt that some of my thoughts have come from reading your blog and your comments here over the years. I haven’t deleted any posts, but I have made some of them private because they’re not relevant to anything in any fashion, such as posts when I was advertising seminars and such. Still, they’re part of the count. Mitch, congrats! And thank you for this resource. No better way to prosper than by following tip 1. Stay on topic to increase your blog’s value. Thanks Ryan, and it all works better when you have a true topic to stick to, which this blog really doesn’t have. Truthfully, it’s probably why I have more posts here than on my business blog, which is much older. Have fun! I just want to focus on a little but most important thing i.e. ‘Title’. The title is important because the potential visitor will be looking at it when you share it to social media, and when others share your post to social media. The average Joe that shows up on your site to share is more than likely not going to write any promotional content for you when they share. That’s why it’s very important to have the blog post title as perfected as you can get it make it legendary. Mainak Halder recently posted…How Do Bloggers Make Money Blogging? In any case I tend to totally disagree with your assertion, mainly because of one statement you wrote, that being “not going to write any promotional content for you when they share”. Goodness, I’m trying to think if anyone has ever written any promotional content for anything they’ve shared of mine other than something like “I like this” or “this will make you think” or something like that. And that’s from people who actually like me, so I’m expecting that if any average Joe’s stop by (and I’m thinking that most of my visitors aren’t quite “average” people) that they’d not even bother to share at all. Or they just might. I’m one of those people who tends to believe that, for the most part, titles aren’t as important to strain one’s mind over when content needs to be written. For instance, when I wrote a post about F. B. Purity, my title was F. B. Purity; that seemed to work for me. Kind of like the title for this post; I just couldn’t think of anything more creative to call it than “15 Lessons From 1,500 Blog Posts” that would convey what the post was about. I do know it wasn’t about titles though; heck, I’ve never written a blog post anywhere on titles so maybe that’s something I need to address one of these days. Maybe I’m just reading Mainak’s words differently but, I think he means that if I were to retweet your tweet about this post, I would be more likely to do that if the title was amazing. Mitchell Allen recently posted…Did Eve Acclaim Odd Medical Advice? I knew what he meant. Just feel the timing is misplaced, especially since it didn’t address the topic of the post or anything in the post, which had lots to comment on, or so I felt. Mitch, sorry if you feel that I didn’t address anything relevant to the post. But this was just a piece of opinion. It’s not just your titles aren’t good, in fact they are very good and that’s what made me click-through to your blog. Knowingly or unknowingly, you write so good titles, so I thought maybe you just missed out this lesson or you can say an addition. Mainak, my response was kind of snarky but I’m one of those folks who believes that one should at least acknowledge something in a post before mentioning other stuff, kind of like the comment I left on your blog. Thanks Sameer. Hopefully I’ve just gotten started and will have more to come over the next couple of years. The First number rocks Mitch! While on #14 I have found this takeaway ” if you don’t like what you’re writing why should anyone else. ” Bloggers aim is to help, but writing for yourself first is the best thing to do and to consider. It is like love yourself first stuff. Thanks Metz. I always think that’s an important aspect of blogging because it’s what gives people a reason to continue blogging over a long period of time. I have always admire your consistency in writing, Mitch. I agree with most of these points, especially the part regarding to spammers and internal linking. No douby blogging need courage too! Thanks for sharing the Splendid lessons. Writing for one’s self should really be the first thing before writing for someone else. I have been a victim of that before, but later I understood that fact. I also love thanking people for whatever they might have done concerning my blog, either sharing or tweeting. Thanks for your contribution Miracle; now there’s an empowering name! I believe the only time you write for others specifically is if you’re being paid to do it, and I’ve found that sometimes those folks don’t like your style either. That’s why it pays to have one’s own blog, for the freedom of expression that writing for others just can’t give you. One thing is for sure, you certainly have a lot to say! But somehow we never get bored listening to you. 🙂 Thanks so much for including in the list of thank yous. That’s a real honor. I think my favorite point was #14 when you said “stuck to my principles”. That’s one of the things I count on when I think about you and your blogs and videos. I know that you won’t be a sell-out and in the long run that is extremely important. Even if you change your mind about something there’s always a compelling reason that you manage to make others see your point (even if they don’t agree). I asked around about Dennis a few months back and I agree that he was a great guy who always had a unique perspective and left some awesome comments. Congrats on 1500 and I’m looking forward to what comes next. Grateful to you for the lessons and the thing I want to say after reading this that first write for yourselves and with that same dedication write for others.Try to give 100% to both.Don’t think that it’s not mine so I don;t need to give that care I give to mine. James Frost recently posted…What Accessories Are Available For Samsung Galaxy S5? Awesome Mitch! Plain awesomeness!! I can’t even think of reaching that landmark in my whole life looking at the frequency of posting. And it’s not like you are writing short posts for the heck of it, each post of you is some kind of experience, expression and it’s deep. Thanks Ajith, and also thanks for being a part of the blog over all these many years. I have already watched your few videos on YouTube but this is the first time when i visited your Blog imjustsharing. the 15 Lessons listed in this article are so much valuable and informative. All points are providing us a different but actual thought. These lines mentioned by you in this post attracted me a lot – 13) Blogging can be fun if you want it to be and 14) if you don’t like what you’re writing why should anyone else. Thanks for visiting Amit and thanks for watching some of the videos as well. I like those couple of lessons and I’m glad you enjoyed them as well. Awesome accomplishment Mitch this is definitely one of the most important posts of 2014 here’s to another 1500! first of all congratulations on hitting a big number like 1,500 posts – that’s amazing! I liked your tips in this share and specifically #13.
blogging can be fun! you don’t have to always feel like you are in a battle with other bloggers and on the run to get a the best blog online – just have fun! thanks for a nice read.. Thanks Roy. I’m amazed that #13 seems to have touched so many people, and it tells me that I got that one right. We have to feel it to be authentic for others, which I hope I always am. First of all, Congratulations Mitch 😀 (I think you are definitely the guy who wrote most blog posts…I don’t know anyone who even come close to it :D). Lot of people begin blogging..but, not a lot of them actually keep doing it after one year. Make that 5 or 6, and you have even fewer bloggers. Thank you for sharing your experience with diary writing. Until recently, keeping diaries is something I have been told to to (Several times, especially by my teachers – for some reason, they wanted us to keep diaries). But, now I understand the importance. Diary is an venue/stage for reflection, at least for me. It’s a place where we can write what we truly feel (although I don’t do that..perhaps because, deep down, I still believe in the society’s principle that boys shouldn’t express emotions..or keep them to themselves). I am trying to understand my emotions. To control them, and to use them 😀 And, I am definitely making progress! (So, thank you for that!). I loved how you compared blog post length to the length of a movie! Makes perfect sense. It isn’t necessarily about the length, but about the story – how captivating it is! Writing in advance! When I launched my new blog, my [initial] plan was to be prepared with 10 posts. But, that didn’t work out (Not because I didn’t have time..I got lazy thinking about getting back to school. So, I spend the time reading comics :D). It wasn’t too bad though..lot of stories! Right now, I am not worried much about writing in advance. I write on Saturday morning and leave the rest of the week to edit and polish the post (I publish on the following Friday, so it gives me 6 days to edit the finished post and think about the next one). Blogs definitely don’t have to be about words. I haven’t done much on this area. Sure, I have prepared a few slideshares and prezi presentations (along with screencasts and podcasts) here and there. The numbers were small, but the experience itself was great! (The best thing is that now I know how to do them…all I have to do is dedicate time and do them!). Well, that’s all I have for now 😀 Thank you for the awesome post, Mitch 🙂 Congrats once again! Jeevanjacobjohn recently posted…Want to be more Creative? Just be bored! I’ve certainly learned a lot from you, Mitch, and might not even be blogging if it weren’t for your encouragement. And 1500 posts! I’ll catch you someday, but only if you stop right now and I live to be about three hundred. I’ll see what I can do to slow myself up some Charles. lol But you’ve been around a good long time, including the interview you did that’s on this blog, and I appreciate that more than you could know. And we needed you blogging; thank goodness for that as well. Hi Mitch, I came over to your blog from Ileane’s basicblogtips. I watched an amazing video interview you did with her and I came to say thanks because that was really resourceful for me and having read your 15 lessons you learnt from blogging, I have understood that courage, dedication and determination are as important in blogging as it is for any other professional job if one wants to achieve something and it pays to stay focused no matter what! Thanks for stopping by Oscar. I wouldn’t say that blogging is necessarily a heroic endeavor but it does take guts and determination, and you’re right in saying that it’s like any other job. However, it probably takes a bit more heart as well since, hopefully, it’s something each person is doing for themselves as much as for others. Hey Mitch. what a mighty effort my friend and I am so glad that I have been around to witness a lot of those posts. Wassupblog falls short by 760 posts but I’m thrilled to say that if I add up all my posts from all my blogs I’ve written 4042 posts. Sorry mate I had to say that 😀 Still, I reckon if we were to count all the words in all those posts you will come out way in front. Writing Up? Man, does that bring back memories. I used to love that place. There was a real camaraderie felling there with a lot of the bloggers. Too bad it went down hill. Still, I reckon we’ve made a lot of friends with our blogs and I for one am so glad I’ve become a blogger. Thanks for sharing that journey with me, for including me in the post and congratulations for achieving your milestone. Congratulations, Mitch! 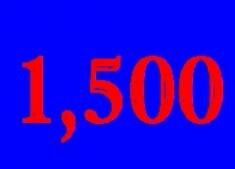 1500 posts… that’s some serious blogging! I don’t think I could claim that many if you combined all the blogs I’ve started and abandoned over 15 YEARS. I’m so honored to be included, here. (My husband has contact info – I don’t know if he reads my blog, but he has email and phone contacts for some very dear online friends who would certainly spread the word if I died, so I think I’ve got that covered.) That said, there will always be some folks who get the news more slowly than others. I didn’t know about Dennis until just now. WRT #3, I think there were an awful lot of folks who got spambots for Christmas or Chinese New Year. Even WITH more-than-adequate protections, I was getting 16,000 a DAY in my spam folder, and my hosting provider temporarily shut everything down. We ended up blocking three whole countries – something I deeply regret having to do, but frankly, no one from any of them was actually interacting with me, so it’s been no gut-wrenching loss. I threw in another, just for grins, because their citizens seem only ever to visit my blog with SQL injection attacks and hacking attempts. But there are always proxy servers, too… It never really ends. I have really good bouncers, though. Your #9 made me smile. I wonder how many bloggers hated to write, while they were still in school? I wonder how much blogging has taught them about writing, and how many of them have gone from hating it to loving it, once it wasn’t an assignment, or for a grade? I do run across bloggers who profess to hate writing, still, and wonder why on earth they put themselves through it. Can’t be for the money. #12 – if nothing else, blogging teaches empathy and understanding. I finally realized, a few weeks ago, why I am not nearly as enamored of video as most people seem to be. My reading speed is about 700-900 words per minute (and I know I’m slower than I used to be!). The average is about 250-300. Video is faster for those folks – but slow as molasses for me. In searching for “average speaking speed” I ran across this: “I am a professional speaker and podcast host and I speak at approximately 145-160 words per minute (wpm), while many sources state that average American English speaker engaged in a friendly conversation speaks at a rate of approximately 110–150 wpm.” (http://www.quora.com/Public-Speaking/For-the-average-person-speaking-at-a-normal-pace-what-is-the-typical-number-of-words-they-can-say-in-one-minute) So if that’s half the rate of the average READER, imagine how much longer it takes me to get the same info from a video. It needs to be chock full of personality and entertainment to hold my interest at all! But for those who hate to read or had to do too much of it already in their day, watching a video is just easier. On a related note, I could just listen to Ms. Ileane speak all day. I don’t know if I’d remember a thing she said, but her voice is so soothing. I think if anyone could hypnotize me successfully (as opposed to making me roll my eyes or fall asleep), it’d be her. And you – you have a way of putting a nervous interviewee at ease immediately, Mitch. That’s a talent. You already know how I feel about #14. 😉 If it were for myself, alone, I’d just keep a diary or daydream (being somewhat lazy, most of my thoughts might never leave my head – why bother to write them if they’re not going to be shared?) If it were just for others, it might be a soulless and deadly dull exercise. It’s a symbiotic relationship writers and readers have. It’s about communication – a meeting of minds. To me, that’s what makes it fun and worth the effort. I gotta put you on my constant visit list. I have been a little lazy lately and not commented much, and then I remembered about your blog and how I connected via Ileane! You make some great points on this post, and based on 1500 posts on 5 blogs, how can you not. I actually almost fell over, learning that someone is so active on line and has done so much. Congrats my friend, that is awesome. I am nearing 100 posts after a year and thought I was doing well. And I have also started a podcast. Perhaps I should get you on there one day and pick your brain. Ileane was on a few weeks ago and blew us away with tips! It’s been awhile Mitch :), I hope you are well. 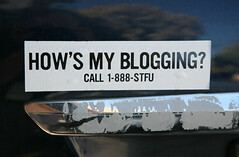 I was wondering how you have gone about promoting your blogs? Did you actively go about marketing it or leave it to ‘word of mouth’ to popularise it? Hi Richard. I don’t think I’ve overly done all that much, although a post I wrote two weeks ago gives some ideas for how people can promote themselves & help their audience grow (it’s long lol). 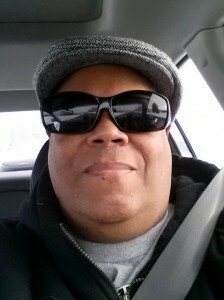 Every post goes on Twitter, some I share on Google Plus, and commenting helps drive people when they like the topics. That’s about it; after all these years of blogging and the volume I think some folks find me in strange ways, and stats show that most people end up here via Google. I’ll take that. I don’t know that it’s safer Richard but in some ways it’s more honest. However, don’t discount social media as a marketing platform. When done right, it can generate lots of interest. Your point number three regarding spam…I found that the plug-in Capthcha Bank stopped it in its tracks. Overall, I feel the prime driving force of being consistent is the love to write. If you don’t. you’re at a distinct disadvantage for success. Good point on the writing thing Joe. So many people think the writing will come to them but if they don’t like writing, it’ll always fail. As for your plugin, I’m a major hater of captcha’s of any kind, so I’d never have it on any of my blogs. Heck, I have other weird stuff going on that I’m trying to figure out lately! It’s been a while since I said thanks 😉 to you for prodding me into blogging. So, I’m sending out a big HUGE Fuccillo THANKS MITCH! I’ve learned a lot from you after blogging the last few years. I do a pretty good job of spreading my blog to all the social media outlets. For some reason, I can’t write in advance. My inspiration for the week comes on Saturday or that Sunday when I post. It’s working for me. Now you’ve got me thinking about writing twice a week. DAMN YOU! 😉 Ugh. Writing is hard. Can I commit to writing two a week? Like you say it will be great for traffic. We’ll see. Internal linking is something I do on a regular basis. Probably should do more. I agree wholeheartedly on leveraging photos, videos, and podcasts to enhance a post. Other than podcasts, I do a good job with the other two. In regards to length of articles, I try to keep it in the 500 word neighborhood. Sometimes I go over, other times under. Wherever it falls is perfect for me. Courage. True that! I’ve learned it’s best to be vulnerable. Say what you want to say. Don’t hold anything back. Dedication. Yup. When you convinced me to wade into the blogging waters, I made a personal contract with myself. Post something, anything, every Sunday. Regardless if the post was average, awful, or on occasion brilliant. In the beginning, I wrote for the audience. That wasn’t working well for me. NOW, I write for me. Why? I want to give the reader and prospective clients an authentic look into who I am! My philosophy? I’ll attract the right people by just being me. I’d like to see more comments though I’m no longer concerned. That’s an EGO thing. I do know this. People are reading. They tell me in emails. They’ll mention it on a phone call. Mitch, you’re dedicated to writing. Almost 3,500 posts? Yowza! Steve Borek recently posted…Don’t Double Dog Dare Me Now! Thanks Steve. You know, I keep getting surprised by how many people started blogging because I encouraged them to do so. Course, it’s way more people who never started because I couldn’t get them to come see the blog to see how much fun it could be. That’s okay; I was one of those kids who loved writing papers in school, although typing them was often an adventure, and I could type pretty fast. Your blog is a good one and your writing has drastically improved as you started putting personality into it and that’s what I always try to stress. Being true to oneself is being true to the audience, and your blog proves that. Keep writing! I read Stephen King’s book on writing called, well, “On Writing.” He says to be a better writer, you have to read a lot and write a lot. I need to do more in both areas. I buy lots of books. Go to the library often. For some reason, most books don’t hold my interest. I’m searching for one’s that do. Steve, though I still buy books, I listen to recorded books all the time. While I’m out of town it’s all I listen to when I’m in the car and it’s all I listen to at home also. When I’m on a plane I either listen to a book or a YouTube video I downloaded, often a documentary. I consume a lot, which probably helps my writing in some ways even though none of it is in the same genre as the writing I do. Now that is worth bookmarking content. All I can say is incredible, I don’t know how many days or weeks you had invested in this post. Thank you for stopping by Vishnu; good luck with your writing. Wow! and congratulations, Mitch! 1500 blog post on this blog alone is an achievement without taking account of your other blogs. Now that is dedication! I am glad to see that this blog, which I would class as a random blog is successful as I have chosen to write a random blog rather than a niche blog and I was worried that people wouldn’t be that interested in my ramblings. I decided on random writings so that I had freedom to write whatever was on my mind without having to worry that it didn’t fit in. I have taken note that it is wise to keep categories to a minimum, but I am finding that easier said than done. What if posts don’t quite fit into a category? I end up adding another one, which is something I am going to have to address I think. Hopefully, one day I will be writing a blog post about the 1,500 posts I’ve written! Debbie recently posted…Our Amazing Swallows…. Hi Debbie, and welcome. I think that if one doesn’t have a specific niche that it’s hard to keep one’s categories to a minimum. I have a SEO blog and I’ve kept the categories to only 8 specific topics, and I’m good with that. But it can be difficult when it’s not a business blog. This is a fabulous list! I enjoyed reading post from bloggers who have been in the game for a long time. These are some great pointers and an awesome resource. Hello Mitch,Your style is entertaining and positive. I find it amazing that you have written so many posts, so consistently. You really should summarize some of your top posts for newbies (like me). Your 1,500 posts are sure to live on! Thanks Jan. If I had to try to summarize some of 1,500 posts (and that was when I wrote that post) I’d be here forever. lol I did include 15 posts at #13 to kind of give a cross sample, and over there to the right is a widget called Categories where you can look to see the topics I’ve written about here and how many articles in each category. Thanks for commenting Oluwaseun, and for proving that some posts are truly evergreen. I hope you got a lot out of it and that some of it helps you on your blogging journey.